Milan, March, 2013. AfidampFAB, with organizational support of Afidamp Services, announces the seventh edition of the INNOVATION AWARD PULIRE 2013, which will take place in Verona during the event PULIRE 2013, most important exhibition dedicated to the market for professional cleaning and environmental hygiene, that will be held on May, 21-23. The award, reserved for the exhibitors, this year aims to recognize the projects that will have proved to increase competitiveness, improve profitability, improve performance and safety, reduce time and cost, comply with the requirements of environmental sustainability. Three categories will be awarded: machinery, equipment and chemicals, whose projects will be submitted to a panel of experts who will decide nine finalists, three in each category. These will then be submitted to Italian and foreign specialized press, which will award the ‘Technical Press Award Pulire 2013′ to the winner of each section. The public of PULIRE 2013 will decide, by voting, the winner of the trophy ‘Innovation Award Pulire 2013’. The selected projects must have been introduced to the market only after 1st of January 2013 and have not been presented or participated in any other related trade exhibitions in form of product, representation or models. They will have a lot of visibility during the exhibition PULIRE 2013 due to the presence in the area specially dedicated to the Prize and at in the company’s booth. The resulting visibility, nationally and internationally, is very high. 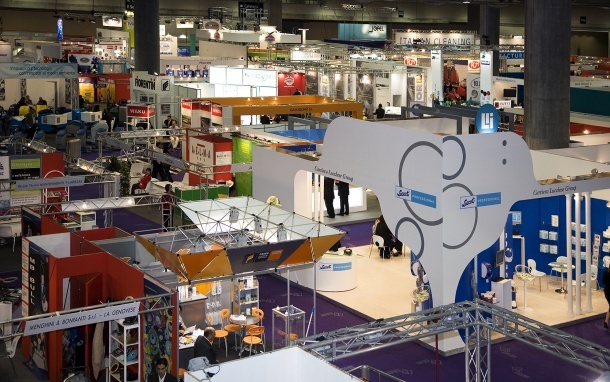 The number of visitors to PULIRE 2013, which this year reaches its twentieth year, has risen steadily, surpassing the 10,000 unique participants in 2011. The deadline for submitting the requested documentation is April 16th, 2013, at 12:00.